The distinct look of the large Bloodhound breed is unmistakable: massive dogs with loose, wrinkled skin and drooping ears. They are usually very clean dogs but do have a tendency to drool. These powerful dogs stand over more ground than what’s usual for other hound breeds. Bloodhounds are gentle dogs that get along well with other family pets and children. They are noble and dignified dogs with an outstanding ability as scent hounds. Bloodhounds are superior to other hounds and have been very successful as police dogs with their extraordinary strength for their size. Their powerful shoulders enable the dogs to work long hours on end. Bloodhounds are affectionate, sensitive and make excellent companions for children. They are energetic outdoors, determined and responsive dogs who make lovable pets. When they are young, these patient, mild-mannered dogs are boisterous and quickly become devoted to their masters. It is suggested that Bloodhounds get firm yet gentle obedience training. While they have a tendency to howl, snore and drool, they will get along well with other dogs and household pets. They may wander off if they pick up an interesting scent and also sniff inappropriately at times. They are able to follow any scent including that of a human which is rare ability for hound dogs. Their impeccable tracking abilities allow them to follow trails that may be over 100 hours old and their determination drives them to stick with a trail for 100 miles or more. Because of the Bloodhounds abilities, they are used worldwide for criminal searches and rescue missions. They are so reliable that evidence from a Bloodhound is admissible in a court of law. Take care not to walk this breed off leash – Bloodhounds will flee after an interesting smell and its instincts will drive it to follow the trail to completion. Bloodhounds have thin skin and a short, smooth coat that only requires periodic brushing. Their weatherproof coat is easy to groom and should only be bathed when necessary. They are an average shedding breed and should be groomed with a hound glove. Because of their deep chests, Bloodhounds are susceptible to bloat – a potentially fatal concern in dogs. 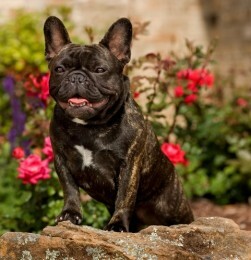 This breed is also known to be prone to inverted eyelids, elbow and hip dysplasia, and ear infections. Bloodhounds can also experience luxating patellas, cardiac problems, gastric torsion (also known as twisted stomach), skin-fold dermatitis and thyroid disorders. As hunting dogs, the Bloodhound breed should be given the chance for daily exercise including a long walk each day. Bloodhounds should be trained by firm leaders who are not heavy handed. Owners should be natural and calm but avoid being stern as this will bring out a streak of willfulness in the dogs. Bloodhounds will follow rules that have been clearly set by their owners but if an owner is meek or timid, the dog will not listen. Even though they are gentle dogs, Bloodhounds are not naturally obedient or easy to train.